The challenges companies face domestically and internationally demand a General Counsel or Chief Legal Officer with a steady hand, a cool head, the ability to think carefully, and the competence to act timely and in an appropriate manner as the circumstances require. Effective General Counsel or Chief Legal Officers (hereinafter referred to as General Counsel) tend to be more successful because they are self-aware and grounded, which enables them to appropriately respond to challenging and stressful situations. The role of General Counsel, in-house counsel, and legal departments have undergone a positive transformation and increase in prestige that has accelerated since the global financial crisis of 2008. Globalization has contributed to the ascent of corporate legal departments, especially among multinationals. Their number, influence, compensation, responsibilities, and status have risen dramatically. However, General Counsel – in line with the other C-suite level officers and divisions – face significant pressure to control their budget and legal spend, and address the ongoing challenge to do more with less, while demonstrating their increased value to the business. To do so, in-house legal departments must be innovative commercial enterprises as well as professional service shops, appropriately utilizing their budgets to invest in the future, while capitalizing on business processes and leveraging technology. Not surprisingly, there is heightened attention on resource optimization – the right resources, doing the right work, in the most cost effective and efficient manner. A recent study by HBR Consulting accurately captures the pressures faced by US GCs, who have had to cope with static, or indeed shrinking, overall budgets. General Counsel must continually look to improve their leadership, the management of their internal resources, as well as ensuring the appropriate utilization of external counsel. As a General Counsel, there are countless obstacles and challenges to be faced along the path to success. The role of General Counsel within the business depends on the size of the organization, ownership structure, the type of sector and industry, nature scope and complexity of operations, risk profile, and the level of regulation. While I ran a legal department of over 100 legal personnel, surveys continually confirm that legal departments tend to be small — more than half have five, or fewer, total lawyers and staff. For example, in the U.S., although the average number of lawyers in legal departments is 17, more than two-thirds of departments have 1 to 5 lawyers. Smaller legal departments tend to have a general practice focus, requiring lawyers to be a jack-of-all-trades. The ideas set out herein are applicable for consideration across all legal departments, but of course subject to scale. While for some organizations the General Counsel role remains frozen in time, for others, it has transitioned into one that is both strategic and value-adding. Companies with world-class legal programs make sure they have a world-class General Counsel leading the way forward. These men and women have helped to bring the in-house legal profession to a new level in the 21st Century. The 2016 survey, The Rise of the GC: From Legal Advisor to Strategic Advisor, notes that while the scope of General Counsels’ responsibilities varies depending on company size and industry, the research shows that increasingly, many are becoming influential components of the senior management team. Indeed, a compelling majority of directors and officers (more than 70%) agree that by 2020, in-house counsel’s most valuable functions will likely shift from serving as an ethical sounding board and ensuring the Board adheres to best governance practices (which ranked first and second in 2015) to acting as adviser to the Board and the CEO. The General Counsel is being looked upon increasingly for strategic and business advice—not just legal advice. As the scope of both enterprise risk oversight and corporate governance continues to expand and evolve, so does the role of the corporate General Counsel. There is little argument that today’s General Counsel has a much wider purview beyond the customary responsibility of serving as the organization’s chief legal officer and, quite often, its corporate secretary. As these roles shift, many organizations are finding that the perspective of the General Counsel—who has been trained to analyze issues legally, ethically, and objectively, is uniquely positioned – to bring additional insights to strategic decisions. To be an effective general counsel today … you’ll need to draw upon a broader skill-set. You’ll need to think of yourself not only as Chief Legal Officer, but now as Chief Strategy Officer who advises the CEO and Board on the company’s business opportunities and stress points, Chief Government Relations Officer focused on managing through regulation, policymaking and special interest group pressures, and Chief Integration Officer who collaborates across the enterprise to help their company manage risk and build strategies for success. As a key player at the center of the strategic team of the enterprise, the General Counsel and legal team must build collaborative relationships with other roles across the business, and address wide-ranging stakeholder demands and concerns, such as – for example – (a) the Board and C-suite’s need for clear and reliable information about legal, business, ethics, and regulatory risks to drive strategic decisions and future outcomes; and (b) the need to allocate limited resources to minimize exposure to significant risks. 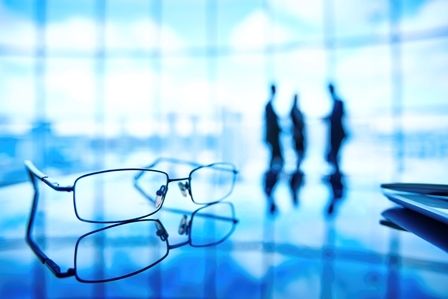 A General Counsel has to keep an eye on the legal, business and government regulation landscape to avoid any surprises, monitor their legal team and effectiveness to keep the legal department in solid operating condition, and lead and manage their team actively to keep everyone on the same page, among numerous other matters. In this world of relentless change this can be challenging. For example, compliance is a difficult and prevalent business concern, in part because of the large number of regulations that require companies to be vigilant about maintaining a full understanding of their regulatory and legal compliance requirements. 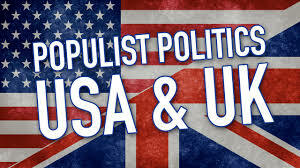 In the U.S. there are thousands of new regulations each year. Multinational organizations must be particularly cognizant of the regulatory compliance requirements of each country they operate within from a legal perspective. 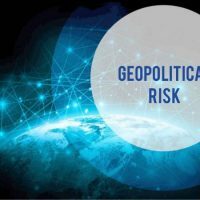 Similarly, the implications of many new rules and policies introduced in other countries may affect the organization’s ‘home’ country (such as my own Canada), and those effects need to be monitored and carefully considered from a legal perspective. An example of a GC as a strategic business partner is Galit Gonen, legal counsel in Europe for Teva Pharmaceutical Industries, the world’s largest generic drug maker. She comes with a big reputation, having scooped the International Law Office European and global counsel award in 2013, the Legal 500 award for IP individual of the year in 2014 and Editor’s Choice for the European woman in business law award in the IP category in 2015. As leaders, General Counsel are expected to be highly present, have clear and consistent insights, maintain significant levels of energy, and stay grounded regardless of circumstances. But there’s one major problem that most senior corporate lawyers don’t see coming, because they’re so busy worrying about everybody and everything else, they forget to worry about themselves. Burnout is a real, major concern for General Counsel, and it could compromise everything you’ve worked for. Much as we know that stress is linked to physical issues like increased heart disease and mortality – unfortunately Manulife’s superb General Counsel in Canada passed away last month at the age of 56 from cardiac arrest – we also need to be aware of how hard-charging senior jobs affect a person’s mental health as well. Most senior counsel have a natural tenacity that forces them to work through problems; on one hand, it’s beneficial, because it allows them to keep moving despite the obstacles that come their way, but it also forces them to underestimate their own resilience. Dealing with stressful problems for too long on one’s own, or in unhealthy ways can sap a person of their motivation and energy, culminating in decreased energy, poor decision-making, loss of enjoyment, and physical symptoms. You feel tired or stressed much more easily, you are not taking much personal time, and your friends or family have expressed concern. This is also a leadership issue – have a medical check-up if you see yourself in this description, and ensure you are appropriately delegating more responsibilities. Ensure you have a solid leadership team, and if you don’t have a strong second in command, get one. Take care of yourself. Enough said. To be successful long term, General Counsel need to adopt a strategic cross-disciplinary leadership approach that is better adapted to serve their organizations not just today, but well into the future. There is a clear need for a new type of thinking that combines legal advice with strategic advice. The role of General Counsel has evolved sharply since the financial crash in 2008. The mood for governments to regulate and invigilate has raised the workload. In many firms the legal budget hasn’t risen fast enough to compensate, ramping up the pressure. At the same time there has been a long list of new challenges. The takeaway here is that it’s easier to focus on the tactical rather than the strategic. Tactical behaviors such as answering emails, working on a presentation, or having a meeting provides immediate feedback because you know just how much work you’ve put into your project and it feels like you’ve accomplished something. Just don’t confuse being busy with being strategic or productive. “Ultimately, we need lawyers who have a great leader’s ability to define problems comprehensively and comprehensibly; to integrate different perspectives into solutions; and to forge agreement on a solution and then implement it in a way that makes a difference”. Daniel Goleman, a leading expert on emotional intelligence and leadership, contends that highly effective leaders, in addition to more technical and knowledge-based abilities, possess and demonstrate the components of emotional intelligence and the ability to draw upon these components to enhance their performance. According to Goleman, the components are self-awareness, self-regulation, motivation, empathy, and social skill. According to Goleman, no matter what leaders set out to do – whether it’s creating strategy or mobilizing a team to action – their success depends on how they do it. Without it, a person can have first-class training, an incisive mind, and an endless supply of good ideas, but may still not be a good leader. Like analytical skills, Goleman is clear that emotional intelligence is also a learned skill. The importance of these skills and abilities to effective leadership cannot be overstated. Leaders must have the subject matter knowledge and skills to convince others that his or her views and vision are the appropriate path of action or direction. Individuals in leadership positions cannot inspire confidence in others if the leader cannot manage his or her own emotions, or lacks motivation to formulate a vision for change or action. Individuals in leadership situations must have the ability to listen to others, and to interact with them in an appropriate relationship. 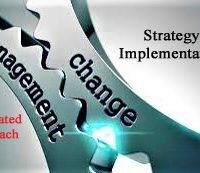 However, many organizations systematically do not encourage or insist upon their leaders developing the skills and abilities necessary to more effectively lead change or action. The research about the key characteristics of effective leaders, the “soft” and “hard” skills possessed by effective leaders, and the relevant styles of leadership, are important to understanding the characteristics, skills, and styles of leadership that are important to lawyers who assume leadership roles and responsibilities. As noted by Dean Polden, it is only by considering how these attributes and styles align with the work of lawyers and their organizations that we can begin to identify how to teach, train, and develop these traits, skills, and capabilities in continuing legal/business education courses – and even earlier within the law school curriculum. Lawyers can and should develop leadership and management skills. With such learning and training, as a lawyer’s career progresses – when the opportunity arises (i.e. General Counsel roles, as well as department or practice leaders in larger legal departments) – he or she will have the learned skills and competence to lead the in-house legal department, or a smaller department or team within the organization as they develop. One of the biggest challenges that leaders have is finding the time to accomplish everything they need to. The thing is, when you really boil it down it’s not time that’s the problem. Time doesn’t change. We all have the same amount of time in the day yet some people simply produce more and manage more. We don’t manage time, we manage ourselves. The problem, then, is unclear priorities. When “everything” is important, nothing is. A world-class law department must have depth beyond the General Counsel. Today’s leading General Counsel are mindful of succession planning and leadership development, which is completely irrelevant to any expectation of their departure date. Successful succession planning and leadership revolves around hiring exceptional talent who have the ability to work outside of their practice area and putting these individuals in situations to learn new areas of law, compliance, or business, as well as management and leadership. By constantly challenging the lawyers in the legal department and bolstering their relationships with the executive team and the business, the company will be strengthened with leaders who can step up to new legal and governance challenges. Additionally, the Board and the CEO will have peace of mind knowing that the quality and leadership of the law department will support the company’s business goals. Not surprisingly, there is a growing Board-level emphasis on recruiting General Counsel with high levels of financial literacy. A more tangible appreciation of the financial performance of the company and their own legal department is used to distinguish General Counsel in many organizations. This is a relatively new phenomenon, and is an acknowledgement that financially knowledgeable General Counsel will be more effective, and a recognition that General Counsel are expected to take ownership and leadership of their own department’s performance versus budget, and gain efficiencies in their use of external counsel. Despite a lack of robust leadership and business theory and training for lawyers, a number of programs and books highlighting the importance of these broad skills in the General Counsel and in-house legal role have appeared in recent years, most notably former General Counsel Ben Heineman’s The Inside Counsel Revolution, which argues General Counsel will find themselves working increasingly at the intersection of law, politics and a range of other areas that require non-legal skills, while the legal and evaluative skills of General Counsel will become more important to large businesses. This evolution from legal adviser to strategic adviser is significant because it wasn’t very long ago that the General Counsel’s role was more narrowly defined. In fact, a review of practices throughout the second half of the 20th century shows that most General Counsel didn’t report to the CEO like other members of the executive team, but rather to the CFO (in most cases) – a reporting structure that further fueled the perception that the role of the General Counsel wasn’t on par with the rest of the C-suite, much less that of an adviser to the Board. 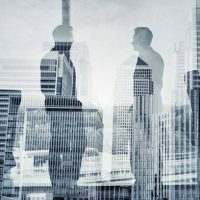 Since that time however, a rapidly escalating regulatory landscape and a growing wave of complex mergers and acquisitions have paved the way for General Counsel to assume their recognized place among the leadership team. Moreover, in recent years, there has been a change in the perception of in-house counsel as contributors to the organization’s success. In fact, 93% of the respondents in the Rise of the GC Report 2016 survey now consider the General Counsel to be part of the executive management team (compared with 81% a decade ago), and this number is expected to climb to 96.5% by the year 2020. In addition to traditional areas of responsibility, such as compliance and transactions, the survey study indicates that the role of general counsel will continue to evolve to encompass strategic issues, such as corporate governance, where 85% of directors and officers are of the opinion that General Counsel will add value in 2020. As well, 49% believe General Counsel will add value to enterprise risk oversight and crisis management. All of this change means we are increasingly wearing more hats and broadening our oversight of new functions and highly diverse teams. As a result, leadership becomes an imperative skill. We must be comfortable engaging and collaborating with our peers in other functions, and contributing to decisions involving finance, marketing, human resources and technology. At the same time, we must excel in recruiting, developing and directing the performance of our teams. … If you think about it, we’re managing a mid-sized law firm charged with addressing the complexities and growing needs of our business. As a leader, my role is to encourage and support the decision-making environment, and to give the legal team the tools and support they need to deliver real value to the businesses they support. The evolving role of the General Counsel role means traits and competencies for those lawyers moving into this position will need to change for many if not all organizations, whether big or small. When asked which competencies directors and officers anticipate would be the most valuable for the General Counsel to have in 2020, the Rise of the GC survey found that the top three traits were sound judgment (72%) and high integrity (69%), ahead of legal expertise (63%). To complete the profile, Mr. Heineman writes in his book that today’s General Counsel should also personify four vital “virtues”: independence, courage, tact, and credibility. The independence to express judgments in the corporation’s best interest, the courage to speak out and stand in front of the tank, the tact to contribute their views in a firm yet constructive manner, and the credibility necessary for peers to appreciate the General Counsel’s input, even in disagreement, are all vital to the role. Easy. Right? Reminds me of the Garth Brooks song, “much too young (to feel this damn old).” There is an answer however – it revolves around building your leadership and delegation skills and not doing it all on your own – surround yourself with great people. As the General Counsel’s role continues to expand, legal departments will face more pressure to realize efficiencies, which will require a strong focus on driving greater productivity. In this environment, law department operations has taken on increasing importance, and the role of an Operations Manager within the department is taking on an increasingly professional and valuable function. Law departments are now looking to leverage their historical data in more sophisticated ways, as we see a growing emphasis on data-driven matter planning and budgeting. 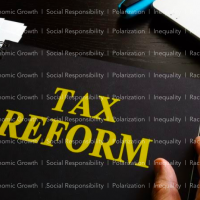 In addition to rationalizing outside counsel spending, many departments are focusing on internal operations and performance measurement as more and more work is being performed in house. This burgeoning trend across industries – although utilized by internal Staff Counsel operations in the U.S. and Canadian P&C insurance industry since the 1990s (for example, Liberty Mutual Insurance Company and later TD Insurance) – is an indicator that General Counsel and legal departments are serious about change and innovation. The key drivers for the Operations role was to achieve greater efficiency and productivity within the legal departments, and to work more strategically. Bringing in Operational Managers and other LDO professionals to concentrate on business operations allows in-house lawyers and legal leaders to focus on legal work and become more proactive and strategic in how they advise the business. As reported in the Blickstein Group’s 2016 Law Department Survey, “a decade ago a few large organizations may have had a full-time person to oversee law department operations. Now, most organizations with more than $2 billion in revenue almost certainly have an LDO manager who is dedicated to that role. And virtually every organization with $10 billion or more in revenue has an LDO manager”. By taking on more responsibilities, the Operational Manager role allows the General Counsel and managing in-house lawyers to focus their own efforts on more high-level legal and strategic issues, and keeping more legal work in-house. Ultimately, going it alone may leave your in-house experts wearing too many hats, overstretched and frustrated by too little improvement as they push the rock of change up that hill. Prestige is a contributing factor in corporate counsel’s rise – in this environment, some of the best and brightest lawyers in Canada, the U.S., the UK, Australia and Europe have moved “in-house as general counsel [and leaders] in the biggest companies, taking the interesting legal advisory work with them”, which includes for those companies that are prepared to invest in-house for their complex corporate matters and litigation, some of the top corporate and trial lawyers. Until very recently, most in-house lawyers were monitors of the external law firms to whom they assigned the bulk of the company’s legal work. Corporate legal teams rarely handled large litigation or significant mergers and acquisition, contracts or intellectual property work. That has changed. Corporate legal departments are expanding dramatically as more work of increasing complexity is brought in-house. We are now seeing innovative companies beginning to utilize in-house counsel to handle significant and complex corporate commercial and legal advisory matters, risk and regulatory compliance, and even conducting their own trials and appeals. For example, Verizon recently disclosed that it spends only 20% of its legal budget on outside law firms, and Shell recently formed an in-house global litigation team to handle some of its biggest matters. Having said that, for most corporations, when it comes to high-stakes, bet-the-company deals and litigation – at least for the near term – will still typically seek out (with exceptions for the sophisticated General Counsel with the most innovative and advanced legal departments, legal teams, and operational management and support) the most prominent and formidable representation they can afford. As noted, in-house legal departments are able to do more with less by introducing efficiencies within their legal departments — across people, processes, and technology — and by further redefining the in-house/external counsel relationship. Limitations are significantly reduced for corporate legal departments that have the advantage of being able to tap into their organization’s substantial process management (including procurement professionals), IT, and HR resources. Most departments are besieged by the operational activities that come with being part of a corporation. As well, in this environment of increased legal work inside the legal department, innovative General Counsel are adapting by hiring Legal Department Operations (LDO) professionals. These legal operations personnel improve legal delivery by addressing the integration of business process, project management and technology – among other operational matters – to the in-house legal department. Corporate legal departments are generally ahead of the curve in addressing cost and efficiency by structuring their legal delivery as an amalgam of legal expertise, business and legal process management, and technology. This is central to why these leading legal departments have morphed from simply legal consumers, to significant legal providers. Knowledgeable LDO managers allow general counsel to delegate the day-to-day functions of the law department to the LDO manager, including oversight of outside counsel spend, system purchases, training and communications items and oversight of non-legal staff; thus freeing up the general counsel and attorneys to focus on legal and risk management. other areas that can carry a high administrative burden and benefit from process expertise. Strategic: responsibilities may include strategy of the department, goal setting; policy and process; development and tracking of KPIs for the legal department (key performance indicators demonstrating legal department is achieving key business objectives); communications, internal and external; organizational structure, people, department planning/mission/vision/values; and vendor management/tool selection. Operations: responsibilities may include the implementation and change management across all key areas. For example, implementing an enterprise legal management system, or matter management system, or even a simple e-billing system, may take a year or more to finalize from planning, to training, to implementation. As well, different size legal departments – with potentially different types of responsibilities – create a range of practice management needs that have to be addressed. A legal department with a small number of in-house lawyers might oversee thousands of cases managed by external counsel, while a large legal department may handle many or most cases in-house. Smaller departments may be focused on management of workflow, collaboration, and spend management; while larger legal departments have a greater need for internal matter management, lawyer utilization, and document management. Selecting the right measure and measuring things right are both art and science. And KPIs influence management behavior as well as business culture. LDOs are intelligent, forward thinking agents of change, and legal departments should be proactively adopting and working with them – or at least reviewing the matter – and using a data driven approach to shape the legal industry’s future. LDOs should be an industry standard for in-house legal departments, and all General Counsel should consider whether the adoption of this standard for their legal departments (depending on size and role within the organization) is appropriate earlier rather than later. With the right person in the position, the role should justify itself in efficiency, return on investment, and results. It’s an encouraging development in the legal profession, long known as resistant to change and innovation. Lawyers may be slow to change, but their willingness to use LDO professionals indicates the awareness of the need for greater innovation to genuinely improve efficiency and productivity. Information is power. Implementing and acting upon smart, well-defined KPIs can incentivize superior performance. General Counsel – armed with enterprise legal management technology systems, key performance indicators (KPI) for their legal departments, internal and external counsel management metrics, litigation management metrics, ‘third party lawyer rating’ services, and disciplined business knowledge and practices (i.e. supply chain procurement practices, RFP’s, law firm convergence, pricing controls and value based legal fees, key performance indicators and industry benchmarks) – have had their law departments bring more work in-house, required traditional law firms to participate in RFPs, and began to strategically rely on NewLaw alternative service providers and outsourcing of unbundled legal services (for corporate or litigation matters) to obtain the benefit of economies of scale and supply chain economics. As they should, more legal departments are looking to better understand which metrics they should leverage to assess their legal department’s performance. Of late, this has been driven by the complexity of running a legal department and the increased scrutiny legal departments are under from the executive level. Unfortunately, “too few general counsel know how to [develop and] use key performance indicators effectively”. Finding those appropriate metrics – which can range from across-the-board internal metrics to external metrics involving external counsel – are essential to evaluating a legal department and company’s overall efficiency. By taking the time to develop key performance indicators (KPIs), General Counsel and their legal departments can demonstrate the overall positive impact of the legal department (or alternatively what steps are required to improve) and, in turn, demonstrate to the organizations’ executive how collecting specific data from their systems will help optimize both their business processes and their technology investment. Collecting appropriate data helps the legal department and company run smoothly in the short term, and helps in determining better and more strategic long term decisions. Whatever the measurement system (i.e. KPIs for legal department goals, external counsel metrics, etc. ), it needs to be consistent, repeatable, and as unbiased as possible. Developing the right instruments to assess the legal department’s performance is essential to ensure operational excellence, and will depend upon the size of the organization, ownership structure, the type of sector and industry, nature scope and complexity of operations, risk profile, and the level and type of regulation. Performance management is based on assessing the results of KPIs and taking improvement actions. According to the Association of Corporate Counsel, performance in legal departments can be evaluated from a number of perspectives: (a) Cost effectiveness – to reflect the quality of financial management; (b) Staff productivity – to assess the outputs delivered by legal personnel; (c) Risk – mitigating risk associated with compliance and law suits; (d) Process efficiency – to outline how well the processes and procedures are designed and executed; (e) Cycle time – to provide insights into the timeliness of delivering legal services; (f) Internal customer satisfaction, etc. Determining the most critical areas, how to monitor and measure them, and expected performance levels are at the foundation of the process. These decisions must be made in concert with leadership and other departments to ensure that they align with the company’s overall strategic vision, specific business unit strategies, and other considerations. The KPIs – which need to be clear, measurable and achievable, and should validated against comparable benchmarks – must then be effectively communicated to all affected parties. Beyond people and metrics and process initiatives, technology is a crucial component of a legal departments’ efforts to improve efficiencies. Technology is a meaningful tool to deliver efficient cost effective value to legal departments. 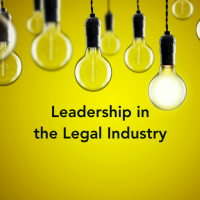 It is changing the landscape and is an integral part of every legal function. To remain effective in their jobs, in-house legal professionals must at minimum develop the technology know-how to make wise technology decisions and in fact utilize the appropriate basics of technology. In Canada, the U.S., UK, Australia, and Europe, the adoption of technology is far from universal. Nearly all legal departments have identified the need to improve the efficiency of their legal departments, but unfortunately most have not made actual significant changes to their approach to achieve greater efficiencies. However, legal departments are prioritizing electronic document storage and management, as well as knowledge management, to improve productivity. The recent Legal Department In-Sourcing and Efficiency Report: The Keys to a More Effective Legal Department, notes that leading legal departments have these measures in place now, and others (mostly smaller departments with tighter budgets) plan to focus on them in the year ahead; many are currently “migrating to electronic document storage” (53%), while a smaller group are looking to do so within the next year (20%). Many legal departments are already “integrating standard contracts into business practices” (51%), and another 11 percent plan to do so within the year. In this respect, the report indicates that law departments are looking to realize benefits associated with spending less time to search for buried organizational knowledge, forms and templates – and consequently to be better positioned to leverage quality and existing work product. Technology – if appropriately and strategically adopted and utilized – offers legal departments a way to address their predicament. By leveraging the power of algorithm-driven automation and data analytics to “productize” aspects of their legal work, legal departments are finding that they are more efficient and cost effective. For example, AI is poised to revolutionize compliance. Faced with a proliferation of regulations since the financial crisis, banks have added tens of thousands of compliance officers but are now turning to artificial intelligence technology to stay on top of the ever-changing regulatory landscape. Analytics can guide compliance departments , and their in-house and external lawyers, providing a more automated approach to risk and regulatory compliance review”. More than 20,000 new regulatory requirements were created last year alone, and the complete catalog of regulations is projected to exceed 300 million pages by 2020, rapidly outstripping the capacity of humans to keep up. Today, the cost of managing the regulatory environment represents more than 10% of all operational spending of major banks, for a total of $270 billion per year. What makes artificial intelligence stand out is the potential – with appropriate leadership – for a paradigm shift in how legal work is done within legal departments. Productivity rises, efficiencies increase, and nonlinear scale becomes feasible as productized services take over high-volume tasks and aid judgment-driven processes. From an organization’s perspective, if their legal departments use technology appropriately, it will improve efficiency and value, making better use of time and financial resources. Failure to significantly invest in appropriate and strategic technology (to streamline or automate routine aspects of legal work via artificial intelligence legal technology, online legal services, ELM or matter management software, intellectual property / trademark software services, legal research, e-discovery, notarization tools) will undermine the legal department. Revolutionary technologies such as ‘big data’ and improvements in artificial intelligence (such as IBM’s ‘Watson’ and the ROSS plain-language legal research tool) offer unparalleled efficiencies in the delivery of certain aspects of legal work in legal departments. 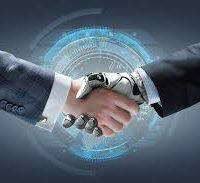 For example, as noted AI can be used for compliance, but as well: due diligence, document automation and contract review, answering routine questions, mining documents in discovery, legal research, predicting case outcomes – faster, better, cheaper and becoming more so with the assistance of intelligent software. Embracing technology will allow in-house lawyers to focus on “complex, higher-value work”. A new report – Catching the Wave: Legal Technology Spend at $3 billion and Growing – finds that corporate law departments spend an estimated $1.5 billion per year on legal software, and predicts explosive growth in this area in the next few years. According to the report, the total potential market size for corporate legal department software is $6.5 billion — more than four times the current spend. It also found that the fastest-growing corporate legal technology areas are knowledge management, legal analytics, legal project management, contract management, and governance and compliance software. Currently, the report notes that e-billing and matter management constitute the largest percentage of corporate legal software spend, but within the next five years, investment in areas such as contracts management and governance and compliance are expected to outpace e-billing and matter management. As well, protecting confidential client and customer information is an important technology concern, which will require the latest technology available to protect that critical information. All of this investment is ultimately geared to creating competitive advantage and that’s one of the business outcomes that can be achieved by investment and the right technologies. Technology investment will make matters faster, cheaper, more efficient and more accessible. Modern technology will be an important piece in the process of determining which General Counsel thrive and which go by the wayside. There are career implications that are at least as important as the business ones. We can learn from recent history about what happens to companies and people that miss paradigm shifts in technology; they disappear into irrelevance. General Counsel are aware that “simply hiring the right law firm is no longer a tenable strategy when reporting to the C-suite and boards of directors.” General Counsel for large organizations, and Chief Legal Officers and legal managers within small- to medium-sized businesses, are increasingly demanding more efficient legal services that deliver value for lower cost. In this demanding environment, many Chief Legal Officers are embracing the role of change agents, wielding their buying power, leveraging technology and process efficiency, and outsourcing to alternative providers, all to build a more effective and flexible legal function. Since the 2008 financial crisis and the downturn of the world’s economy, the balance between corporations and their lawyers has shifted: ‘legal services have been demystified, and legal service consumers are more knowledgeable, sophisticated and connected’. Many General Counsel acting in the best interest of their companies have continued to influence and impact the legal market, intensifying price-down pressure on traditional law firms, in particular BigLaw, and speeding up legal innovation and the development of competitive NewLaw ‘alternative legal service providers’ (i.e. NewLaw models, with some overlap, include among others: secondment firms, law and business advice companies, law firm accordion companies, virtual law firms and companies, and innovative law firms and companies). New market entrants, such as Axiom and Pangea3 (legal outsourcing), continue to reshape the legal market as they climb further up the pyramid of services historically provided by traditional law firms. NewLaw has segmented the legal marketplace with its reliance on non-traditional and efficient business models, leveraging flexible work and billing arrangements, and disruptive business practices and technology (i.e. virtual workspace, value based fixed fee pricing, outsourcing, and legal technology). In this ‘new normal’ leading General Counsel are capitalizing on the new legal ecosystem that has emerged, with new players and new answers providing important legal service options. As both buyers and sellers of legal services, in- house counsel will continue to exert considerable leverage in requesting changing legal services. Sophisticated General Counsel equipped with appropriate metrics, legal management technology systems, and disciplined business knowledge and practices (i.e. supply chain procurement practices, RFP’s, law firm convergence, pricing controls and value based legal fees, key performance indicators and industry benchmarks) have (a) required their traditional law firms to participate in RFPs, (b) had their legal departments bring more work in-house, and (c) strategically relied on alternative service providers and outsourcing of unbundled legal services to obtain the benefit of economies of scale and supply chain economics. Traditional law firms are no longer a one-stop shop for a corporation’s legal needs – and according to the Altman Weil 2016 Chief Legal Officer Survey there is a recognized concern about “the lack of innovation in service delivery by law firms”. 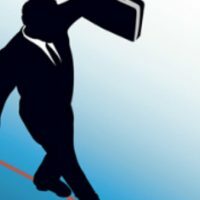 To be successful with sophisticated General Counsel going forward, traditional law firms will need to be seen as able to deliver appropriate legal services in a cost effective manner – and to do so, they must be competitive, efficient and innovative in respect to appropriate processes, technology, and delivery model. The traditional lawyer and law firm is now being seen as an increasingly isolated expert specialist, as opposed to a trusted, competitive and innovative cross-disciplinary professional legal service provider strategically positioned to provide leadership and give their clients what they actually want in an efficient cost effective manner. 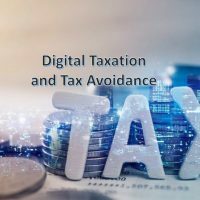 Corporations and their executives want value and solutions for the legal services they pay for, and quite rightly are questioning the ‘value received’, ‘billing model’ and ‘size of their legal bills’ as provided by traditional legal firms. There is a growing disconnect between how lawyers and General Counsel value the services provided by traditional lawyers. This discontent extends to the traditional law firm “billable hour” delivery model. What is wrong with billing on an hourly basis? The answer: there is no incentive to lower costs; to the contrary, under the traditional law firm and billable hour model working efficiently reduces profit. The hourly rate neither encourages nor rewards efficiency, but instead penalizes it. Efficiency is antithetical to the law firm business model, which is based on charging clients for time spent, rather than on results or other measures of value. There is something inherently troubling about a billing system that pits a lawyer’s financial interest against that of its client and that has built-in incentives for inefficiency. The billable hour model has both of these undesirable features. Unfortunately, it is difficult for traditional law firms to move from one business model to another as they are typically constrained by their own resources, processes and values. Demand is flat or falling at large law firms, says the newest ‘Wells Fargo survey’ released yesterday. Revenue is now being driven solely by hourly rate increases, the last remaining income enhancement button that law firms can press and one they will presumably continue to press until it no longer responds. This is not an especially new development: as has been the case every year since 2011, the ‘2015 Altman Weil survey of Chief Legal Officers’ found that more law departments decreased their spend on outside law firms than increased it. Not surprisingly, most General Counsel perceive traditional lawyers as neither efficient nor cost effective. General Counsel for corporate clients worldwide – the U.S., UK, Europe, Australia, and Canada – “are generally dissatisfied with traditional law firms”, and “roughly half of those surveyed would consider hiring non-traditional legal service providers”. And … General Counsel are starting to vote with their feet. More legal departments are reducing their legal spend on external law firms than increasing. Corporate legal departments are reducing their panels of outside firms, but also they are segmenting outsourced work rather than sending it all to one firm. They are also directing more work to legal service companies whose structures, competencies, and pricing – alternative fee arrangements –differ from traditional law firms. The ‘HBR survey’ also found that 85% of law departments now use alternative fee arrangements, and 80% plan to increase their use of [alternative fee arrangements] next year. This isn’t the old “discounted hourly rate” dodge, either: fixed fees per matter and flat fees for all matters in a field of work were the two most commonly cited [alternative fee arrangements]. BASF’s legal department even requires firms to present AFA options for every engagement. In this ‘new normal’ the traditional law firm based on hourly rates should no longer be relied upon by the innovative General Counsel as the preferred legal service-delivery model available. The market for legal services is moving and growing. 49% said their department’s legal spend was growing in the area of regulatory compliance, 42% mergers and acquisitions, and 39% in litigation. Corporate clients are changing their approach to buying legal services across the globe. Conventional law firms are no longer meeting today’s business needs. One in three companies surveyed want their legal services provider to bring industry, commercial and non-legal expertise, which currently they do not; as well, to be more savvy on global data and cyber protection issues and more pro-active in sharing knowledge across many jurisdictions. Traditional law firms are seen to be trailing other professional services firms in this area. The majority (55%) of participants in the study (legal counsel, general counsel, CEOs and CFOs) have taken or are considering a significant review of their legal suppliers. Corporate clients’ expectations of legal services providers are evolving. Demand for alternative or non-traditional legal service providers is increasing. 52% of in-house legal departments are considering buying legal services from non-traditional law firms. Integrated cross-border advice beyond legal: law firms are seen to be trailing other professional services firms in their ability to offer integrated multi-disciplinary services. Use of technology: utilization of better, more relevant technologies in-house, to be used and shared on integrated platforms. Regulatory and global compliance advice: Global compliance is perceived as a major issue for in-house lawyers. 49% of corporate legal department’s legal spend growing in the area of regulatory compliance. Fixed fees, value pricing and greater transparency: Over 55% referenced alternative fee structure from hourly billing model – 30% mentioned fixed or capped fees, and 27% referred to some form of value-based pricing. Not surprisingly, competitive innovative law firms and NewLaw are embracing lean and design processes, appropriate technology, outsourcing, and alternative value based billing models as a way to meet the needs of cost-conscious corporate clients, maximize value, disrupt the business relationships of traditional law firms, and foster new long-term relationships for themselves. In addition, General Counsel outside of the U.S. have another potential supplier of legal services to consider for its legal work, and that supplier appears to be offering a new and different business model: the Big Four ‘accounting firms’. The first is for in-house departments not only to be vastly more efficient in their deployment of the traditional combination of internal labour and external law firms, but also to ensure that work is undertaken, where appropriate, by less costly suppliers of legal services, such as legal process outsourcers and paralegals. Interestingly, outside of the U.S., the Big Four “accountant firms” have managed to reinvent themselves as “globally integrated business solution advisors” (where an important component of the business solution that they offer is law). They are beginning to be looked upon as more than “just the scorers” — they are becoming recognised as multidisciplinary business advisers, who are experts in business methodology such as process management, unbundling of legal services and commoditization, outsourcing, and partnering to reduce legal cost and increase delivery to the client’s bottom line. “I believe that Deloitte’s endgame is unmistakeable: to be the one-stop shop for as many ancillary legal services as possible; to do work that was traditionally done by associate lawyers at most law firms. While for some organizations the General Counsel role remains frozen in time, for others, it has transitioned into one that is both strategic and value-adding. Companies with world-class legal programs make sure they have a world-class General Counsel leading the charge. These individuals have helped to bring the in-house legal profession to a new level with the requisite prestige. Clearly, today’s leading General Counsel must have a broader set of core lawyering skills and personal and professional competencies to be successful throughout their careers, and to be capable of leadership as the circumstances require. 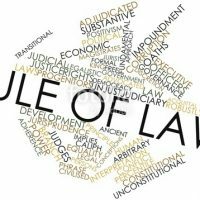 Legal education is changing, or, as some argue, being forced to change, due to rapidly changing forces in our society, in-house and law practice economics, and lawyer and leadership talent management. Our society is changing rapidly due to changes in technology, globalization, and business opportunities, and other dynamic factors. Today’s General Counsel need to be prepared to be leaders, in business and management. While leadership education in the legal profession and in law school may be behind other disciplines’ educational goals and curricula, there appears to be interest and expertise building behind this trend. We can look forward to future General Counsel (and aspiring lawyers) inspired by the leadership education they have received and to lawyer-leaders who will help address the great challenges facing corporations and business. Today’s General Counsel wears many hats — legal advisor to the board of directors and Chief Executive Officer, savvy business strategist, leader of the legal function, knowledgeable interpreter of regulations and statutes, risk assessment expert, as well as visionary and manager of outside counsel. Despite the growth of specialization in legal practice, a General Counsel has to be a generalist. The in-house practice of law can be a minefield. General Counsel have an important role within an organization – and it is important that it is recognized that the company is the General Counsel’s client, not the CEO or executive management team. Most leading organizations have General Counsel with a “seat at the table”, specifically positioned to “influence and lead”. A fundamental element of the role is “to assure ethical behaviour” within the organization, and because of their position they are able to “intervene sooner and more effectively”. Some observers feel that as in-house lawyers, their independence is “inevitably compromised”. This challenge is part of what makes the role interesting, although as noted by one senior General Counsel, one would never wish for things to get too interesting for any in-house lawyer. The Rules of Professional Conduct for lawyers are clear — in-house lawyers must see that right is done within an organization regardless of the personal consequences. So we end where we started – the challenges companies face domestically and internationally demand a General Counsel with a steady hand, a cool head, the ability to think carefully, and the competence to act timely and in an appropriate manner as the circumstances require. A very important and difficult role indeed. Leadership matters. Mark A. Cohen, Corporate Counsel: Consumer Becomes Provider, Legal Mosaic, May 17, 2016. For example, 2016 Legal Department In-Sourcing and Efficiency Report: The Keys to a More Effective Legal Department, Thomson Reuters. [http://static.legalsolutions.thomsonreuters.com/index/pdf/2016-efficiency-report.pdf]. Survey: The Rise of the GC Report 2016: From Legal Adviser to Strategic Adviser, NYSE Governance Services / BarkerGilmore Survey Report, www.nyse.com. Tom Moriarty, The Next Generation GC: From lawyer to Strategic Adviser (Perspective), Bloomberg Law (bol.bna.com), August 30, 2016. Ben W. Heineman, Jr. was General Electric’s Senior Vice President-General Counsel from 1987-2003, and then Senior Vice President for Law and Public Affairs from 2004 until his retirement at the end of 2005. He is currently Senior Fellow at Harvard Law School’s Program on the Legal Profession and its Program on Corporate Governance, Senior Fellow at the Belfer Center for Science and International Affairs at Harvard’s Kennedy School of Government and Lecturer in Law at Yale Law School. A Rhodes Scholar, editor-in-chief of the Yale Law Journal and law clerk to Supreme Court Justice Potter Stewart, Mr. Heineman was assistant secretary for policy at the Department of Health, Education and Welfare and practiced public interest law and constitutional law prior to his service at GE. His new book is the Inside Counsel Revolution: Resolving the Partner-Guardian Tension, 2016. Note: Reference to ‘compliance’ in this article is from a legal issue perspective. Today, organizations in highly regulated industries generally have a Chief Compliance Office (CCO) – a senior executive within the company – who has a duty to his or her employer to work with management and staff to identify and manage regulatory risk. The role of the Compliance Department, and the Chief Compliance Officer where there is one in place, has changed. This evolution can be traced back to the various corporate scandals. Compliance has now emerged as a specialty, important as its own department, and a career path complete with its own professional literature, conferences and “bottomless pool of anxieties”. The role is evolving from several compliance areas to become a strategic pillar of the organization. Regardless of the actual title utilized in a particular company, what was scattered across business functions — with a concentration in legal — is now coming of age as a senior executive role in many sophisticated organizations, and in particular in highly regulated sectors or industries. The traditional role of compliance management is transitioning out of legal and other areas, and taking on broader responsibility for ethics, compliance, integrity, culture, and social responsibility across the organization. See, Eric Sigurdson, Corporate Culture, Leadership and Personal Liability – Ethics and Compliance Programs in the 21st Century, Sigurdson Post, October 5, 2016. Charles Orton-Jones, Now lawyers are strategic advisers, Raconteur.net, November 26, 2015. “Members of Ontario’s legal community have been grieving the loss of Stephen Sigurdson, Manulife general counsel … died last Wednesday in Toronto following a cardiac arrest in October, he was 56”. 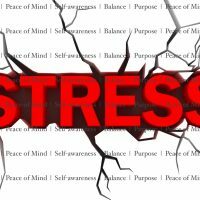 Eric Sigurdson, Epidemic in the Legal Profession (Part I) – Stress, Anxiety and Depression, Sigurdson Post, August 8, 2016; Eric Sigurdson, Epidemic in the Legal Profession (Part II) – Coping with Stress and Anxiety: stress management and the ‘mindful lawyer’, Sigurdson Post, August 17, 2016. “It makes sense: Our jobs are stressful and involve long hours, and chronic stress has been linked to depression. A lot rides on our success and behavior. Plus, while lower-level employees might benefit from a workplace culture that embraces well-being and de-stigmatizes mental health issues, those of us who lead are actually responsible for creating that culture. When you’re mired in depression, it’s hard to have that perspective” – and, “according to new research, depression is also harder to shake when you’re at the top”. See: Eric Sigurdson, Lawyers and Leadership: effective and ethical judgement and decision-making required to address societal and professional challenges, Sigurdson Post, September 5, 2016. Jeff Boss, 4 Leadership Challenges to Overcome Once and for All, Forbes, December 7, 2016. Ben W. Heineman, Jr.: “A Responsibility to Lead”, Duke Law News, Law.duke.edu, Jan. 7, 2008; Ben W. Heineman, Jr., Lawyers as Leaders, 116 Yale L.J. Pocket Part 266 (2007), http://www.yalelawjournal.org/forum/lawyers-as-leaders; Donald J. Polden (Dean and Prof of Law, Santa Clara University), Leadership Matters: Lawyers’ Leadership Skills and Competencies, Santa Clara Law Review, Vol. 52, No. 3, September 21, 2012. Ben W. Heineman, Jr.: “A Responsibility to Lead”, Duke Law News, Law.duke.edu, Jan. 7, 2008; Ben W. Heineman, Jr., Lawyers as Leaders, 116 Yale L.J. Pocket Part 266 (2007), http://www.yalelawjournal.org/forum/lawyers-as-leaders. Donald J. Polden (Dean and Prof of Law, Santa Clara University), Leadership Matters: Lawyers’ Leadership Skills and Competencies, Santa Clara Law Review, Vol. 52, No. 3, September 21, 2012; see DanielGoleman.info – 1995 text Emotional Intelligence referred to by Harvard Business Review as “a revolutionary, paradigm-shattering idea”, and chose his article “What Makes a Leader” (January 2004, Harvard Business Review) as one of the top 10 “must read” articles. Donald J. Polden (Dean and Prof of Law, Santa Clara University), Leadership Matters: Lawyers’ Leadership Skills and Competencies, Santa Clara Law Review, Vol. 52, No. 3, September 21, 2012. See, Business Leadership Program for In-House Counsel (certified in-house counsel) developed by Canadian Corporate Counsel Association (CCCA) and Rotman School of Management (University of Toronto): http://www.ccca-accje.org/Professional-Development-Resources/Business-leadership-program-for-in-house-counsel; http://www.rotman.utoronto.ca/ProfessionalDevelopment/Executive-Programs/CoursesWorkshops/Programs/BLP-HC . The Rise of the GC Report 2016: From Legal Adviser to Strategic Adviser, NYSE Governance Services / BarkerGilmore Survey Report, www.nyse.com. David Burgess, Leadership training has until recently neglected the growing ranks of GCs, Lindedin.com, November 25, 2016. See for example: Business Leadership Program for In-House Counsel (certified in-house counsel) developed by Canadian Corporate Counsel Association (CCCA) and Rotman School of Management (University of Toronto) [http://www.ccca-accje.org/Professional-Development-Resources/Business-leadership-program-for-in-house-counsel; http://www.rotman.utoronto.ca/ProfessionalDevelopment/Executive-Programs/CoursesWorkshops/Programs/BLP-HC]; Other non-legal programs, for example: business courses, leadership courses, executive MBA programs – business and leadership courses may be offered internally within the organization, or externally by educational institutions (i.e. Universities). See, Fernando Garcia, Career Advancement: My two cents, In-house coach, Canadian Lawyer, December 12, 2016. Ben W. Heineman, Jr., The Inside Counsel Revolution: Resolving the Partner-Guardian Tension, 2016; David Burgess, Leadership training has until recently neglected the growing ranks of GCs, Lindedin.com, November 25, 2016. Ben W. Heineman, Jr., The Inside Counsel Revolution: Resolving the Partner-Guardian Tension, 2016; Survey: The Rise of the GC Report 2016: From Legal Adviser to Strategic Adviser, NYSE Governance Services / BarkerGilmore Survey Report, www.nyse.com. [www.nyse.com/publicdocs/2016_BarkerGilmore_The_Rise_of_the_GC.pdf] – citing Eric Dale, chief legal officer at Nielsen. Garth Brooks, Song: Much Too Young (To Feel This Damn Old), Album: Garth Brooks, 1989. Mark Haddad, Improving In-House Efficiency: The increasing role of legal department operations professionals, Metropolitan Corporate Counsel, November 7, 2016. More than three-quarters of respondents note that their first dedicated LDO professional was designated in 2014 – Blickstein Group’s 9th Annual Law Department Survey, Findings from the Ninth Annual Law Department Operations Survey, December 2016; Sailaja Meesaraganda, Inside the Numbers: Freeing Up Resources to Focus on Strategically Relevant Issues, Blickstein Group’s 9th Annual Law Department Survey, Findings from the Ninth Annual Law Department Operations Survey, December 2016. 2016 Legal Department In-Sourcing and Efficiency Report: The Keys to a More Effective Legal Department, Thomson Reuters – second annual survey of 429 attorneys and operational professionals working in corporate legal departments, examined their ongoing efforts to improve efficiency and productivity across their in-house teams. [http://static.legalsolutions.thomsonreuters.com/index/pdf/2016-efficiency-report.pdf]. Note: Liberty Mutual Insurance Company included these roles in its Staff Counsel operations (home office and individual field offices) as far back as the 1990s. Joseph Tiano, 2016 Law Department Operations Survey: A Blueprint for Law Departments, Linkedin.com, December 11, 2016. Blickstein Group’s 9th Annual Law Department Survey, Findings from the Ninth Annual Law Department Operations Survey, December 2016; Robin Snasdell, Inside the Numbers: The Rise of the LDO, Blickstein Group’s 9th Annual Law Department Survey, Findings from the Ninth Annual Law Department Operations Survey, December 2016. Sailaja Meesaraganda, Inside the Numbers: Freeing Up Resources to Focus on Strategically Relevant Issues, Blickstein Group’s 9th Annual Law Department Survey, Findings from the Ninth Annual Law Department Operations Survey, December 2016. Anthony Hilton, Why their profession’s failures mean lawyers don’t win top city jobs, Evening Standard, UK, September 22, 2016; Kristen Rasmussen, Can In-House Counsel Be Trusted with High-Stakes Litigation? Macy’s Thinks So, Corporate Counsel, November 8, 2016; Mark A. Cohen, Corporate Counsel: Consumer Becomes Provider, Legal Mosaic, May 17, 2016; Richard P. Campbell, Welcoming Insurance Staff Counsel, Tort Trial and Insurance Practice, American Bar Association, Fall 2001 (“the practice of law by staff counsel has thrived for nearly a century … the late Jim Casey, chief attorney in Liberty Mutual’s staff counsel operation, was one of the giants of the Boston trial bar … virtually every major property and casualty insurance company has long had a staff counsel program. More than 8,000 lawyers nationwide currently practice insurance defence law within the structure of a staff counsel program”); Mallen and Smith, Legal Malpractice (4th ed): Chapter 28, “staff or house counsel”; R. Jeffrey Kelsey, Building an In-House Trial Team (Federal Express), Federation.org (“Jeff Kelsey is a Managing Director in the Litigation section of the Federal Express Corporation Legal Department. FedEx handles the majority of its employment and commercial litigation using in house attorneys who act as lead trial counsel for the Company”). Marilyn Odendahl, Trend of in-house counsel doing more internally likely to continue, Indiana Lawyer, October 19, 2016; Kristen Rasmussen, Can In-House Counsel Be Trusted with High-Stakes Litigation? Macy’s Thinks So, Corporate Counsel, November 8, 2016. Kristen Rasmussen, Can In-House Counsel Be Trusted with High-Stakes Litigation? Macy’s Thinks So, Corporate Counsel, November 8, 2016; Anthony Hilton, Why their profession’s failures mean lawyers don’t win top city jobs, Evening Standard, UK, September 22, 2016 (“allowed some of their best brains to move in-house as general counsel in the biggest companies, taking he most interesting legal advisory work with them”); Richard P. Campbell, Welcoming Insurance Staff Counsel, Tort Trial and Insurance Practice, American Bar Association, Fall 2001; Mallen and Smith, Legal Malpractice (4th ed): Chapter 28, “staff or house counsel”; R. Jeffrey Kelsey, Building an In-House Trial Team (Federal Express), Federation.org; IBM Watson Parks its AI Tank on Legal Compliance Lawn in New Venture, Artificial Lawyer: AI and Legal Automation News, September 30, 2016 [https://artificiallawyer.com/2016/09/30/ibm-watson-parks-its-tank-on-legal-compliance-sector-lawn-in-new-venture/]; Ron Friedmann, Automating Legal Advice: AI and Expert Systems, Bloomberg Law (bol.bna.com), January 22, 2106; Joe Mont, Rise of the machines: how artificial intelligence could revolutionize compliance, Compliance Week, August 2, 2016; Greg Wildisen, Is artificial intelligence the key to unlocking innovation in your law firm?, Legal Week, November 12, 2015. Kristen Rasmussen, Can In-House Counsel Be Trusted with High-Stakes Litigation? Macy’s Thinks So, Corporate Counsel, November 8, 2016; Mark A. Cohen, Corporate Counsel: Consumer Becomes Provider, Legal Mosaic, May 17, 2016; Richard P. Campbell, Welcoming Insurance Staff Counsel, Tort Trial and Insurance Practice, American Bar Association, Fall 2001 (“the practice of law by staff counsel has thrived for nearly a century … the late Jim Casey, chief attorney in Liberty Mutual’s staff counsel operation, was one of the giants of the Boston trial bar … virtually every major property and casualty insurance company has long had a staff counsel program. More than 8,000 lawyers nationwide currently practice insurance defence law within the structure of a staff counsel program”); Mallen and Smith, Legal Malpractice (4th ed): Chapter 28, “staff or house counsel”; R. Jeffrey Kelsey, Building an In-House Trial Team (Federal Express), Federation.org (“Jeff Kelsey is a Managing Director in the Litigation section of the Federal Express Corporation Legal Department. FedEx handles the majority of its employment and commercial litigation using in house attorneys who act as lead trial counsel for the Company”). 2016 Legal Department In-Sourcing and Efficiency Report: The Keys to a More Effective Legal Department, Thomson Reuters. [http://static.legalsolutions.thomsonreuters.com/index/pdf/2016-efficiency-report.pdf]; Mark Haddad, Improving In-House Efficiency: The increasing role of legal department operations professionals, Metropolitan Corporate Counsel, November 7, 2016; Mark A. Cohen, Corporate Counsel: Consumer Becomes Provider, Legal Mosaic, May 17, 2016. Robin Snasdell, Inside the Numbers: The Rise of the LDO, Blickstein Group’s 9th Annual Law Department Survey, Findings from the Ninth Annual Law Department Operations Survey, December 2016. Eric Schmidt, CEO of Google, cited in Connie Brenton, Inside the rise of law department operations – one of 2014’s biggest trends in the legal industry, Inside Counsel, January 27, 2014. Connie Brenton, Inside the rise of law department operations – one of 2014’s biggest trends in the legal industry, Inside Counsel, January 27, 2014; 2016 Legal Department In-Sourcing and Efficiency Report: The Keys to a More Effective Legal Department, Thomson Reuters. [http://static.legalsolutions.thomsonreuters.com/index/pdf/2016-efficiency-report.pdf]. Connie Brenton, Inside the rise of law department operations – one of 2014’s biggest trends in the legal industry, Inside Counsel, January 27, 2014; 2016 Legal Department In-Sourcing and Efficiency Report: The Keys to a More Effective Legal Department, Thomson Reuters. [http://static.legalsolutions.thomsonreuters.com/index/pdf/2016-efficiency-report.pdf]; Mark Haddad, Improving In-House Efficiency: The increasing role of legal department operations professionals, Metropolitan Corporate Counsel, November 7, 2016. Enterprise Legal Management (ELM) s a practice management strategy of corporate legal departments, insurance claims departments, and government legal and contract management departments. ELM developed in response to increased corporate demands for accountability, transparency, and predictability, and may encompass all or parts of software to manage analytics and business process management, internal legal documents and workflows, matter management and electronic billing and invoicing, and to guide decision-making through reporting and analytics. Still an evolving term, ELM is a recognized management discipline and a strategic objective of general counsel. Some have argued that ELM falls within the broader category of corporate governance, risk, and compliance (GRC); others maintain that ELM and GRC are separate entities along a continuum. Separate but related technologies include information governance, electronic discovery, legal hold, contract management, corporate secretary, and board of directors’ communications. ELM software may integrate some or all of these components. (Wikipedia.org: ELM). Legal matter management or matter management refers to activities involved in managing all aspects of the corporate legal practice (“matters”). Matter management is distinguished from case management, in that case management is generally considered to refer to law firm related activities (“cases”). Matter management software systems serve a variety of functions including conflict and ethics control, accurate matter opening, day-to-day matter work, business intelligence, and marketing. This includes the tracking of such items as the attorneys and other workers on the case, type of legal work, industry of the client, witnesses, judges, courts, opposing counsel, issues, documents, budgets and invoices associated with each particular legal matter. Corporations can use matter management software and systems to manage both their in-house counsel staffs as well as their outside counsel law firms and non-law firm legal service providers who work on legal matters on the corporation’s behalf (i.e., expert witnesses, court reporters, copy services, etc.). Law firms might use matter management to organize information about documents and email, time worked or billed, people inside and outside the firm associated with case, deadlines and dockets, and much more. Matter management systems can provide excellent communication and collaboration platforms to organize and distribute information, although new web-based collaboration tools are beginning to reduce the need for matter management systems as collaboration tools. Matter-centric collaboration tools may be the next step. (Wikipedia.org: Legal Matter Management). Michael Tal and Manuel Meder, Key Performance Indicators (KPIs) That All Legal Departments Should Consider, Busylamp, July 21, 2015. For example: until recently, the majority of corporate clients who managed lawyer performance, did so based solely on legal fees. Sophisticated clients are now using “big data” to track and compare law firms and lawyers on important law firm / lawyer efficiency metrics such as: lawyer performance by jurisdiction and case type, cost per closed case, cost per phase of legal matter, cycle time, win/loss rates (for litigation), etc. Sophisticated organizations are now using “big data” to track and compare law firms and lawyers on important law firm / lawyer efficiency metrics such as: win/loss rates, lawyer performance by jurisdiction and case type, cost per closed case (legal fees and indemnity), cost per phase of litigation, cycle time, etc. What sophisticated corporate clients can see from these data driven approaches to monitor and evaluate lawyers, is that there is a perception that some lawyers are not efficient or cost effective in their legal services. “But the environment has changed drastically since the Great Recession, and clients now view the scope of legal services as a pyramid. They are still willing to work with traditional lawyers for matters that fall in the middle to the top of the pyramid – matters that require varying levels of specialized knowledge. However, they are demanding more cost-effective solutions for commoditized tasks. For example, some larger companies are starting to require more routinized work such as document review to be handled by contract attorneys. Christina Tarata, KPIs for Legal Departments, Performance Management, April 18, 2014; Harrison Underwood, Key performance indicators Part 1: Four KPI’s that can keep your legal department on track, Inside Counsel, July 6, 2015; Stephen Mabey, Measuring legal department metrics, Canadian Lawyer, July 21, 2014; Legal Department KPIs & Benchmarks: Legal Metric Definitions, Benchmarking Data & Reports, opsdog.com [https://opsdog.com/industries/legal/legal-kpis-and-benchmarks]; Richard Stock, KPIs for the Legal Department, Catalystlegal.com, Summer 2011; Patrick Johnson, Top Ten Metrics that your Legal Department should be Tracking, Acc.com, March 4, 2013. “If you can’t measure it, you can’t manage it.” This maxim ranks high on the list of quotations attributed to Peter Drucker. There’s just one problem: He never actually said it. … The fact is, Drucker’s take on measurement was quite nuanced. Yes, he certainly did believe that measuring results and performance is crucial to an organization’s effectiveness. “Work implies not only that somebody is supposed to do the job, but also accountability, a deadline and, finally, the measurement of results —that is, feedback from results on the work and on the planning process itself,” Drucker wrote in Management: Tasks, Responsibilities, Practices. “What’s measured improves.” – Peter F. Drucker. Pearl Zhu, Change Insight: Change as an Ongoing Capability to Fuel Digital Transformation, 2016. Mohanbir Sawhney, Putting Products into Services, Harvard Business Review, September 2016. Ben DiPietro, Financial Firms Turn to Artificial Intelligence to Handle Compliance Overload, Wall Street Journal, May 19, 2016. Julie Sobowale, How artificial intelligence is transforming the legal profession, ABA Journal, April 1, 2016. IBM Watson Parks its AI Tank on Legal Compliance Lawn in New Venture, Artificial Lawyer: AI and Legal Automation News, September 30, 2016 [https://artificiallawyer.com/2016/09/30/ibm-watson-parks-its-tank-on-legal-compliance-sector-lawn-in-new-venture/]; Ron Friedmann, Automating Legal Advice: AI and Expert Systems, Bloomberg Law (bol.bna.com), January 22, 2106; Joe Mont, Rise of the machines: how artificial intelligence could revolutionize compliance, Compliance Week, August 2, 2016; Greg Wildisen, Is artificial intelligence the key to unlocking innovation in your law firm?, Legal Week, November 12, 2015. Ben Kepes, eBrevia Applies Machine Learning to Contract Review, Forbes, February 20, 2015; Zach Abramowitz, Free Contract Review Could Be A Gamechanger, Above the Law, April 21, 2016; Nicole Black, How AI Will Change the Practice of Law, Law Technology Today, November 1, 2016. (eBrevia; LawGeex); Seal Version (contract discovery and analytics platform); Michael Mills, Artificial Intelligence in Law: The State of Play 2016, Thomson Reuters (neotalogic.com), 2016 – Electronic discovery (Recommind, Equivio, Content Analyst), Outcome Prediction (Lex Machina, LexPredict), Self-service compliance (Neota Logic, ComplianceHR, Global Risk Solutions), Contract Analysis (Kira Systems, KM Standards, RAVN, Seal Software). Michael Mills, Artificial Intelligence in Law: The State of Play 2016, Thomson Reuters (neotalogic.com), 2016 – Electronic discovery (Recommind, Equivio, Content Analyst), Outcome Prediction (Lex Machina, LexPredict), Self-service compliance (Neota Logic, ComplianceHR, Global Risk Solutions), Contract Analysis (Kira Systems, KM Standards, RAVN, Seal Software); Julie Sobowale, How artificial intelligence is transforming the legal profession, ABA Journal, April 1, 2016. Anthony Sills, ROSS and Watson tackle the law, IBM.com, January 14, 2016; Drew Hasselback, Meet ‘ROSS’, the bankruptcy robo-lawyer employed by some of the world’s largest firms, National Post, August 9, 2016. Debra Cassens Weiss, Artificial intelligence predicted case outcomes with 79% accuracy by analyzing fact portrayal, ABA Journal, October 25, 2016; Danny Crichton, With Judge Analytics, Ravel Law Starts to Judge the Judges, Tech Crunch, April 16, 2016; Brian Benton, Lex Machina: ‘law machine’ helps lawyers predict case outcomes, Palo Alto Patch, July 30, 2012; Rich Steeves, Lex Machina uses big data, legal analytics tools to help IP attorneys, Inside Counsel, October 29, 2013; Nicole Black, How AI Will Change the Practice of Law, Law Technology Today, November 1, 2016. Michael Mills, Artificial Intelligence in Law: The State of Play 2016, Thomson Reuters Legal Executive Institute, Legal Technology.com, November 3, 2015. Lenore Adkins, Study: Corporate Law Departments’ Spend on Software Set to Explode, Bloomberg Law (bol.bna.com), February 25, 2016. — Compiled by the legal software company Mitratech, the report is called “Catching the Wave: Legal Technology Spend at $3 billion and Growing.” It was based on a survey of 353 law firm and legal department “decision makers,” interviews with 15 leading industry experts and secondary research on legal industry software trends. Lenore Adkins, Study: Corporate Law Departments’ Spend on Software Set to Explode, Bloomberg Law (bol.bna.com), February 25, 2016. BI Intelligence, IBM to use AI to help banks with cybersecurity, Business Insider, December 8, 2016; Lenore Adkins, Study: Corporate Law Departments’ Spend on Software Set to Explode, Bloomberg Law (bol.bna.com), February 25, 2016. Approximately 60 percent of the companies on Fortune’s list of the 500 largest companies in the mid-1990s are no longer on that list today, just 20 years later. These were some of the largest companies in the world, yet many couldn’t retain their status because they missed the transition to the internet. For many, their systems proved to be the silent killer of their business, while several of the companies that filled the open openings—such as Google, Amazon, Facebook—were born from the internet movement. In 1995, Sears was #9 and Kmart #15 on the Fortune 500, with combined revenue of almost $89 billion. Today, they’re a single company, #111 on the list, with revenue of $25 billion. In 1995, Amazon had just launched. Today, they’re #18 with revenues of $107 billion. Felicity Nelson, Uberfication Hits Law Firms, Lawyers Weekly (Australia), October 9, 2015; Danny Ertel and Mark Gordon, Points of Law: Unbundling Corporate Legal Services to Unlock Value, Harvard Business Review, July-August 2012; Joanne Goodman, How to: Outsource Legal Work, Law Society Gazette (UK), August 12, 2013; Peter Archer, Outsourcing the law gets new look, Raconteur, April 24, 2014; Scott Forman, Perspective: How Law Firms Can Embrace Unbundling, Bloomberg Law (bol.bna.com), May 4, 2016; Milton Regan and Palmer Heenan, Supply Chains and Porous Boundaries: The Disaggregation of Legal Services, 78 Fordham Law Review, 2010 — “The economic downturn could mark a moment of transition for law firms less because of its immediate financial impact and more because it has highlighted and accelerated the trend toward the disaggregation of legal services that had begun before it. This trend reflects the maturation of legal services sector into a highly competitive industry driven more forcefully than ever by pressures for efficiency. How law firms, clients, and organizations connected with this industry respond could shape not only the future of law firms, but of the legal profession itself.” ; Public Policy, Legal Strategy 101: It’s Time for Law Firms to Re-think Their Business Model, Wharton.upenn.edu, April 29, 2009. Alternative service providers are referred to as NewLaw. NewLaw was devised as a term in 2013 by consultant Eric Chin. 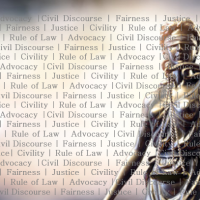 NewLaw has been defined as “any model, process, or tool that represents a significantly different approach to the creation or provision of legal services than what the legal profession traditionally has employed” [Jordan Furlong]. See, Ilina Rejeva, What is NewLaw and How It is Changing the Legal Industry Forever, LegalTrek, April 26, 2016. Joan Williams, Aaron Platt, Jessica Lee, Disruptive Innovation: New Models of Legal Practice, 2015. [http://worklifelaw.org/wp-content/uploads/2015/09/Disruptive-Innovations-New-Models-of-Legal-Practice-webNEW.pdf]; Ilina Rejeva, What is NewLaw and How It is Changing the Legal Industry Forever, LegalTrek, April 26, 2016; Mitch Kowalski, Deloitte’s deal with Conduit Law continues its march into legal services, National Post, March 22, 2016; Victor Li, Axiom Expands into Canada by acquiring part of Cognition, ABA Journal, January 14, 2016; William D. Henderson, More Complex than Greed, The American Lawyer (AxiomLaw.com), May 29, 2012; Rachel Zahorsky and William Henderson, Who’s Eating law firm’s lunch?, ABA Journal, October 1, 2013; Thomson Reuters Acquires Pangea3: Gives Thomson Reuters a leadership position in fast-growing legal process outsourcing market, prenewswire.com, November 18, 2010; James Mancini, Disruptive innovation in legal services – promising for consumers and challenging for regulators, OECD Insights, June 14, 2016; Debra Bruce, Why You Must Get Up to Speed on Technology, SoloPracticeUniversity.com, October 27, 2016; Charlotte Rushton, Three ways the legal world is changing, Thomson Reuters, October 28, 2016; Kenneth Grady, The Low Cost of Lean, Seytlines.com, June 16, 2016; Kenneth Grady (Seyfarth Shaw LLP), Lean is the Path to the Perfect Legal Practice, Legal Business World, October 30, 2016; Danny Crichton, With Judge Analytics, Ravel Law Starts to Judge the Judges, Tech Crunch, April 16, 2016; Brian Benton, Lex Machina: ‘law machine’ helps lawyers predict case outcomes, Palo Alto Patch, July 30, 2012; Rich Steeves, Lex Machina uses big data, legal analytics tools to help IP attorneys, Inside Counsel, October 29, 2013; Nicole Black, How AI Will Change the Practice of Law, Law Technology Today, November 1, 2016. Secondment Firms: place lawyers in house, typically to work at a client site either on a temporary basis or part-time (usually a few days a week). Some consist exclusively of senior lawyers who can function either as general counsel or as regional heads of legal departments in very large companies, while others place more junior lawyers to help with overflow work from in-house departments. Examples: (a) Conduit Law – Deloitte Conduit LPP in Canada – outsourcing on demand lawyers in support of in-house legal departments and business needs at law firms, working on site or remotely on projects or special engagements. 90% fees generated under alternative fee arrangements; (b) Pangea3 – Pangea3 is a legal outsourcing services provider with headquarters in New York City , Noida, Bangalore and Mumbai, India. Pangea3 provides legal services and intellectual property services to in-house counsel in U.S., European and Japanese corporations and attorneys in international law firms. grown to 1,000 U.S., U.K. and Indian attorneys, engineers, scientists and professionals providing global legal outsourcing services in seven offices across the United States and India; (c) Axiom Law – Axiom Cognition in Canada – outsourcing on demand lawyers in support of law firms and in-house counsel working remotely , onsite with clients, or at firm offices. Emphasis on leaner structure that emphasizes process innovation, and increased use of online legal services software and technology. Combines two models, the secondment (outsourcing) and law and business (managed service providing law and business advice) models and now has over 1200 professionals worldwide for high-end business of law / complex financial transactions and compliance. Law and Business Advice Firms: combine legal advice with general business advice of the type traditionally provided by management consulting firms, and/or help clients with investment banking as well as legal needs. Examples: (a) Axiom Law – Axiom Cognition in Canada – outsourcing on demand lawyers in support of law firms and in-house counsel working remotely, onsite with clients, or at firm offices. Emphasis on leaner structure that emphasizes process innovation, and increased use of online legal services software and technology. Combines two models, the secondment (outsourcing) and law and business (managed service providing law and business advice) models and now has over 1200 professionals worldwide for high-end business of law / complex financial transactions and compliance; (b) Exemplar Companies – law firm company with business, tax and accounting, and investment banking services. Headquartered in Boston, with satellites. Virtual Law Firms and Companies: typically drive down overhead by having attorneys work from their own homes—and again dispense with a guaranteed salary, allowing attorneys to work as little or as much as they wish. These organizations vary a lot: some are very similar to traditional law firms, while others are companies in which many of the functions traditionally performed by lawyers, notably rainmaking, are the province of the company owners. Examples: (a) LegalZoom and RocketLawyer and other online innovators use technology to provide low cost legal documents and low cost legal advice from lawyers. Some smaller startups like SimpleCitizen offer online immigration and visa services at fixed fees. Online service delivery is allowing both legal professionals and unlicensed providers to serve clients remotely while taking advantage of the scalability of digital platforms; (b) Cognition – now Axiom Cognition in Canada as U.S. based Axiom acquired Cognition LLP – operates in Canada as Axiom Cognition (serving corporate clients with in-house legal departments) and Caravel Law (law firm serving small to medium sized enterprises without internal legal departments); (c) Counsel on Call – legal services company dealing with document review, eDiscovery, document review and managed services. Innovative law firms and companies: include the widest variety of different business models. The single most innovative is a company with a new monetization model—providing legal services in return for a monthly subscription fee. Other innovative law firms change key elements of the traditional law firm model in ways that allow for one or more of the following elements: alternative fee arrangements, ‘lean’ innovative processes, technology, team scheduling, collaboration, elimination of the partner/associate distinction and “rainmaking” requirements. Example: (a) Summit Law Group – headquartered in Seattle with satellite offices. Billing arrangements include value based fees and ‘value adjustment line’ encouraging clients to adjust billing based on perception of value received; (b) Novus Law – a legal services firm specializing in electronic discovery, and prices its services exclusively on a fixed fee basis; (c) Seyfarth Shaw’s Seyfarth Lean, a value-driven client service model that improves process with project management and tailored technology solutions, and named one of the best firms for alternative fee arrangements. 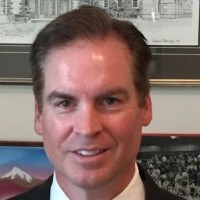 William D. Henderson, More Complex than Greed, The American Lawyer (AxiomLaw.com), May 29, 2012 – for example: Axiom reduces legal fees by innovating ways to deliver more work at fixed and lower costs. Axiom was started by a lawyer and financed by private equity interests on both Sand Hill Road and Wall Street. Axiom provides less-expensive access to talented lawyers, typically alums of the nation’s leading law firms. But Axiom lawyers operate through a leaner structure that emphasizes process innovation, and like other industries, an increased use of tools and technology. Axiom’s model also includes the deployment of seasoned business people—including former partners from places like McKinsey & Co—who help legal departments reengineer how legal services are bought, managed, and delivered. Axiom grew 60 percent in one year and employs over 1,000 lawyers across three continents. Mitch Kowalski, Deloitte’s deal with Conduit Law continues its march into legal services, National Post, March 22, 2016 – in Canada, Axiom Global Inc. purchased Canadian firm Cognition LLP and its outsourced lawyer business to form Axiom Cognition. Pangea3 is a legal outsourcing services provider with headquarters in New York City , Noida, Bangalore and Mumbai, India. Pangea3 provides legal services and intellectual property services to in-house counsel in U.S., European and Japanese corporations and attorneys in international law firms. grown to 1,000 U.S., U.K. and Indian attorneys, engineers, scientists and professionals providing global legal outsourcing services in seven offices across the United States and India. – Thomson Reuters Acquires Pangea3: Gives Thomson Reuters a leadership position in fast-growing legal process outsourcing market, prenewswire.com, November 18, 2010. Austin Chambers, Casey Lekahal, Transformative Change: Outsourcing the Practice of Law, Colorado.edu, 2013. Charlotte Rushton, Three ways the legal world is changing, Thomson Reuters, October 28, 2016. Canadian Bar Association, Futures: Transforming the Delivery of Legal Services in Canada, August 2014. Monica Bay, Survey Reveals Role of Procurement in ‘High-End’ Legal Services Market, Bloomberg Law (bol.bna.com), March 21, 2016. – Buying Legal Council survey report concluded “We believe that in the next few years, sophisticated Legal Procurement departments will regularly be involved in sourcing high-end, complex legal services. Almost nothing is off limits to using a professional, institutionalized approach that is normal in other areas of an organization.”; Buying Legal Council: Professional Sourcing and Management of Legal Services, buyinglegal.com. Huron Legal, What General Counsel Want (and Need) from their Law Firms and Other Legal Service Providers, 2013. Also see: Joan Williams, Aaron Platt, Jessica Lee, Disruptive Innovation: New Models of Legal Practice, 2015 – The traditional law firm model is often seen to sell the client a ‘Cadillac’, even when the client only needs or wants a ‘Ford’. Many of the competing NewLaw models promise the ‘Ford’, with prices to match. Jane Croft, Artificial intelligence disrupting the business of law: firms are recognising that failure to invest in technology will hinder ability in today’s legal market, Financial Times, October 5, 2016. 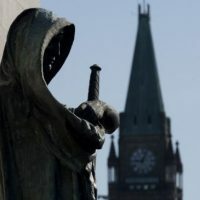 Drew Hasselback, The unkillable billable hour: How Canadian corporations are clinging to legal business ‘poison’, National Post, March 6, 2015; Paul M. Barrett, How Billable Hours Changed the Legal Profession, Bloomberg, December 4, 2014; Leigh McMullan Abramson, Is the Billable Hour Obsolete? : Clients are getting fed up with being charged high rates for six-minute increments of time, The Atlantic, October 15, 2015; Ben Jackson, Billable Hour Transforms the Legal Profession, Lexisnexis.com, April 18, 2012; Ronald Rotunda, The Problem of Inflating Billable Hours, Verdict.Justia.com, November 17, 2014; Elie Mystal, How Many Billable Hours Do You Have to Work Before You are ‘Busy’?, Above the Law, April 16, 2012; Bell Starting to Toll on Billable Hour, Canadian Lawyer, July 21, 2013; Ralph Baxter, The inherent client conflict of interest caused by hours-based billing, Canadian Lawyer, March 16, 2015. Gina Passarella, For Large Law Firms, Alternative Billing Makes Inroads, Nat’l L. J., May 26, 2009 (quoting William B. Lytton, senior counsel at Dechert, LLP). Shannon L Spangler, ‘Disruptive Innovation in the Legal Services Market: Is Real Change Coming to the Business of Law, or Will the Status Quo Reign?’, American Bar Association Annual Meeting, Boston, 7–11 August 2014 [www.americanbar.org/content/dam/aba/ administrative/litigation/materials/2014_aba_annual/written-materials/disruptive_innovation.authcheckdam.pdf]; International Bar Association, ‘Times are a-changin’: disruptive innovation and the legal profession, IBA Legal Policy & Research Unit, May 2016. Bank of Nova Scotia v. Diemer, 2014 ONCA 851 (CanLII). Ralph Baxter, The inherent client conflict of interest caused by hours-based billing, Canadian Lawyer, March 16, 2015 – The traditional law firm business model and billable hour has impeded the appropriate adoption and utilization of new technology and process design options that would make law firms more efficient and cost effective. Converting to a method that delivers client service with fewer billable hours might be better for the client, but since it will reduce revenue, law firms have been slower to change. Jordan Furlong, You’re not selling what we’re buying, Law Twenty One, November 30, 2016. Corporate clients are increasingly frustrated with many traditional law firms and the way they deliver legal services. There is a general frustration with the billable hour model, and lack of a focused and consistent emphasis on such things as: staffing and flexible work practices; pricing and alternative value based fees; innovative and efficiency based technology (both investment and utilization); cloud-based tools that allow seamless communication networks; process improvement and knowledge management; project management; and reduced overhead (i.e. office space, outsourcing of administrative work to office management), which translates into considerable cost savings for clients. [Note: The early adopters of Practice Management systems were law firms that billed on contingency or flat fees. They understood early that automating routine tasks and being more organized would allow their lawyers to handle more files or cases in less time, and in some situations, with fewer staff. These efficiencies quickly translated into a more profitable practice]. 2015 Chief Legal Officer Survey, Altman Weil Flash Survey [altmanweil.com/dir_docs/resource/e377d935-7263-4031-b25d-57dbc4d9d16d_document.pdf]; Jordan Furlong, You’re not selling what we’re buying, Law Twenty One, November 30, 2016. For example, see: Eric Sigurdson, Corporate Culture, Leadership and Personal Liability – Ethics and Compliance Programs in the 21st Century, October 5, 2016. Kenneth Grady (Seyfarth Shaw LLP), Lean is the Path to the Perfect Legal Practice, Legal Business World, October 30, 2016; Bev Cline, Design Thinking: Try, Try Again, Lexpert, October 16, 2016; Alex Tran, Ben Krowitz and Laura Sacks, Why Future Leaders Need to Become Designers, Deloitte.com, October 10, 2016. Maria Jose Esteban and Professor David Wilkins, The re-emergence of the Big 4 in law, Thomson Reuters, April 27, 2016; Thomas Connelly, Big Four accountancy giants are expanding their legal services arms globally – and solicitors are getting worried, Legal Cheek, January 28, 2016; Michael McKiernan, Accounting firm enters business law market, Law Times, March 14, 2016; Caleb Newquist, It’s Only a Matter of Time before Big 4 Firms Offer Legal Services in the US, Going Concern, May 9, 2016; Ellie Clayton, The Big Four threat to legal services, January 28, 2016; Heather Suttie, Adding More Legal Might to Canada’s Big Four, HeatherSuttie.ca, March 20, 2016; Mitch Kowalski, Deloitte’s deal with Conduit Law continues its march into legal services, National Post, March 22, 2016; International Bar Association, ‘Times are a-changin’: disruptive innovation and the legal profession, IBA Legal Policy & Research Unit, May 2016; Peta Tomlinson, Accountancy Firms Make the Move into Legal Services, ACCA, October 1, 2015; Attack of the Bean Counters – Lawyers Beware: the accountants are coming after your business, The Economist, March 19, 2015; Mitch Kowalski, Deloitte’s deal with Conduit Law continues its march into legal services, National Post, March 22, 2016. Maria Jose Esteban and Professor David Wilkins, The re-emergence of the Big 4 in law, Thomson Reuters, April 27, 2016; Attack of the Bean Counters – Lawyers Beware: the accountants are coming after your business, The Economist, March 19, 2015; Peta Tomlinson, Accountancy Firms Make the Move into Legal Services, ACCA, October 1, 2015. Maria Jose Esteban and Professor David Wilkins, The re-emergence of the Big 4 in law, Thomson Reuters, April 27, 2016; Thomas Connelly, Big Four accountancy giants are expanding their legal services arms globally – and solicitors are getting worried, Legal Cheek, January 28, 2016; Lucille Keen, Big Four’s one-stop legal shop, Australian Financial Review, December 8, 2016; Michael McKiernan, Accounting firm enters business law market, Law Times, March 14, 2016; Caleb Newquist, It’s Only a Matter of Time before Big 4 Firms Offer Legal Services in the US, Going Concern, May 9, 2016; Ellie Clayton, The Big Four threat to legal services, January 28, 2016; Heather Suttie, Adding More Legal Might to Canada’s Big Four, HeatherSuttie.ca, March 20, 2016; Mitch Kowalski, Deloitte’s deal with Conduit Law continues its march into legal services, National Post, March 22, 2016; International Bar Association, ‘Times are a-changin’: disruptive innovation and the legal profession, IBA Legal Policy & Research Unit, May 2016; Peta Tomlinson, Accountancy Firms Make the Move into Legal Services, ACCA, October 1, 2015; Attack of the Bean Counters – Lawyers Beware: the accountants are coming after your business, The Economist, March 19, 2015. Mitch Kowalski, Deloitte’s deal with Conduit Law continues its march into legal services, National Post, March 22, 2016 – newly formed Deloitte Conduit Law LLP purchased Conduit Law, which made a reputation as a major Canadian legal upstart by providing outsourced lawyers in support of in-house legal teams. In 2014 Deloitte acquired Toronto-based ATD Legal Services Professional Corp, a NewLaw quasi-legal process outsourcer, to enable Deloitte to deliver end-to-end discovery services to companies’ in-house departments and law firms. Also see: Deloitte Conduit Law website at “www.deloitteconduitlaw.ca “. Jeffrey Lowe, BigLaw 2016: A Look Ahead, Law360, January 13, 2016. Mitch Kowalski, Deloitte’s deal with Conduit Law continues its march into legal services, National Post, March 22, 2016. Donald J. Polden (Dean and Prof of Law, Santa Clara University), Leadership Matters: Lawyers’ Leadership Skills and Competencies, Santa Clara Law Review, Vol. 52, No. 3, September 21, 2012. Law Department Management, The top lawyer wears many hats – a generalist in a specialist age, http://lawdepartmentmanagement.typepad.com/, citing Robert Half Legal.